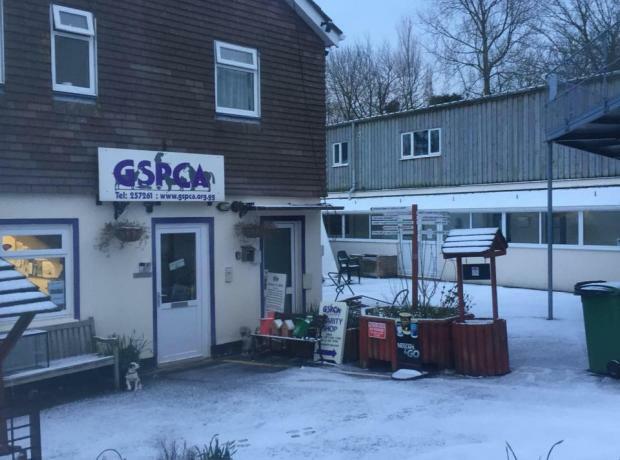 Today Thursday 1st March the GSPCA services and our shop/reception are open as normal but with the temperatures to drop later we may consider closing at 4pm our front reception, shop, viewing and charity shop. The plan for tomorrow Friday 2nd March is to open as normal that being the GSPCA Shop, Charity Shop (although normal access has may be diverted to avoid the slope) and Reception from 9am to 5pm, with visiting to animal viewing areas (which are limited) 11am to 430pm. We are currently monitoring the weather and will update as and when we can. All services and our shop/reception have been open today as normal but with the temperatures about to drop we are closing our front reception, shop and charity shop at 4pm. The plan for tomorrow on Thursday 1st March to open the GSPCA Shop, Charity Shop (although normal access has may be diverted to avoid the slope) and Reception from 9am to 5pm, with visiting to animal viewing areas (which are limited) 11am to 430pm. We continue to operate our 24 hour emergency service. The GSPCA team have been busy making safe the icy and snowy patches around the Shelter for the team and visitors to move around site and care for the animals. All services and our shop/reception are open today as normal. This means the GSPCA Shop, Charity Shop (although normal access has been diverted to avoid the slope) and Reception are open 9am to 5pm, with visiting to animal viewing areas (which are limited) 11am to 430pm. We may close our shop and reception early but we are currently monitoring the weather. The GSPCA team are busy clearing the icy and snowy patches around the Shelter for the team to move around site to care for the animals. The team have attempted to clear to the top of Rue des Truchots from the Shelter towards Route de la Croix-au-Bailiff direction. All services and our shop/reception are open today as normal. So our Shop, Charity Shop and Reception are open 9am to 5pm, visiting to animal viewing areas (which are limited) 11am to 430pm and we continue to operate our 24 hour emergency service.